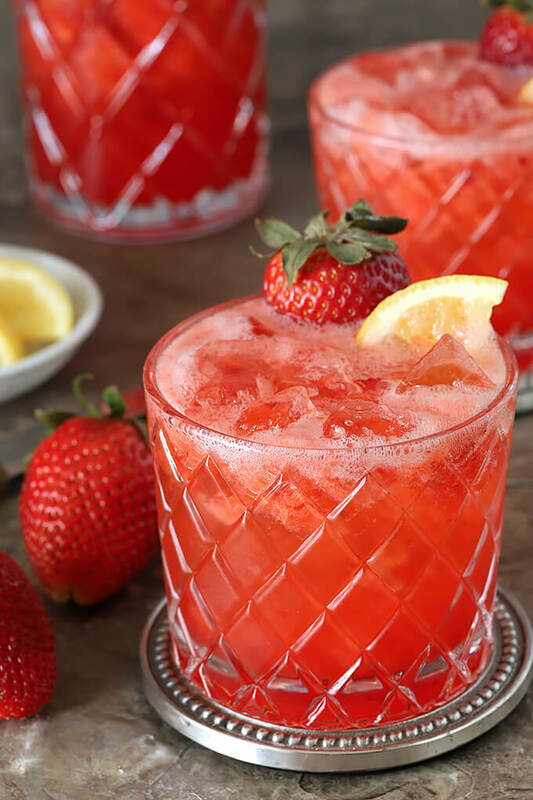 I’m already seeing some beautiful strawberries at the market and this Strawberry Lemonade and Ginger Beer Fizz was the perfect libation for a warm spring weekend. I really do enjoy cocktail making. Keeping it simple is key. I remember an event I went to that was sponsored by a large vodka brand and loved the philosophy they had about cocktails. You could take 5 ingredients and simply mix up the type of fruit, type of booze and type of soda and never run out of ideas…and it’s true. That theory works for me. I get emails and messages all the time from public relations firms and bars wanting me to feature their specialty on my blog but any thought that it might happen gets bogged down with particulars. It’s not just that the list of ingredients is long but they always include far too many exotic ingredients. No, I’m not making two kinds of bitters and sending off to parts unknown for something I’ve never even tasted. Not gonna happen. This cocktail is not earth shattering; as a matter of fact what I love is the simplicity. My thinking is that readers love simplicity too. There are a million cocktail sites that will agree to feature those one of a kind specialty drinks but I prefer sharing concoctions I’ve made that you can actually make in your home. And make easily too. This is the perfect example. I even nixed the idea of making a whole bunch of lemon simple syrup…and went the direction of lemonade; same thing but easier. Blend some strawberries with the lemonade and vodka and top with the ginger beer and done. In minutes…I’m thinking that’s what you’re looking for right? This cocktail didn’t take any forethought; as a matter of fact the inspiration came about when my neighbor and her husband came over for Easter dinner. We are VERY casual here and while I had some lamb in the oven for a salad and mashed potatoes warming for a side; she and I just sort of winged it for a cocktail. I had strawberries, OK, good. I spied an open bottle of lemon vodka and we were off to the races. This recipe does not specify that you must use lemon vodka though. Even a specialty vodka is asking too much on occasion so I’ve made it easy by including a can of lemonade for the lemon flavoring. If there were one thing wrong with this drink it would be this…it’s tasty and refreshing and a bit sweet and tart and it could be gulped down in a heartbeat. Sure do that…but skip the vodka OK? 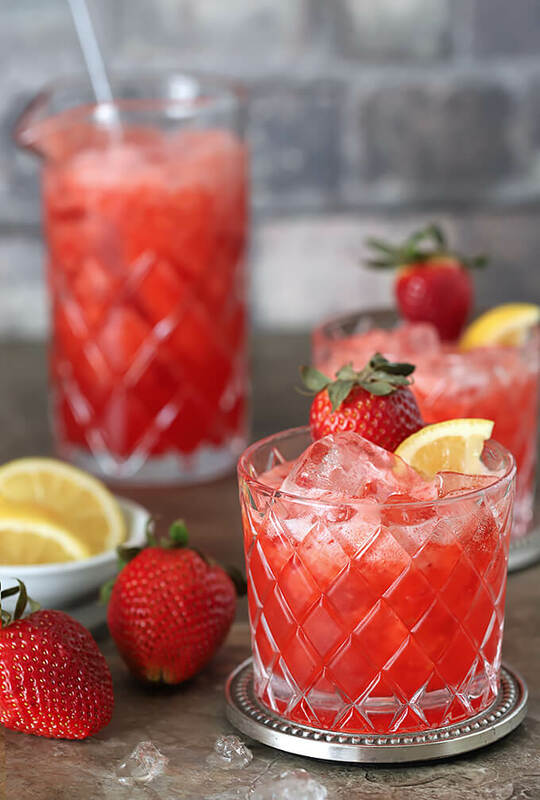 Otherwise, gulp down a water and then sit and sip this delightful Strawberry Lemonade and Ginger Beer Fizz and think of more warm days ahead…I know I can’t wait! 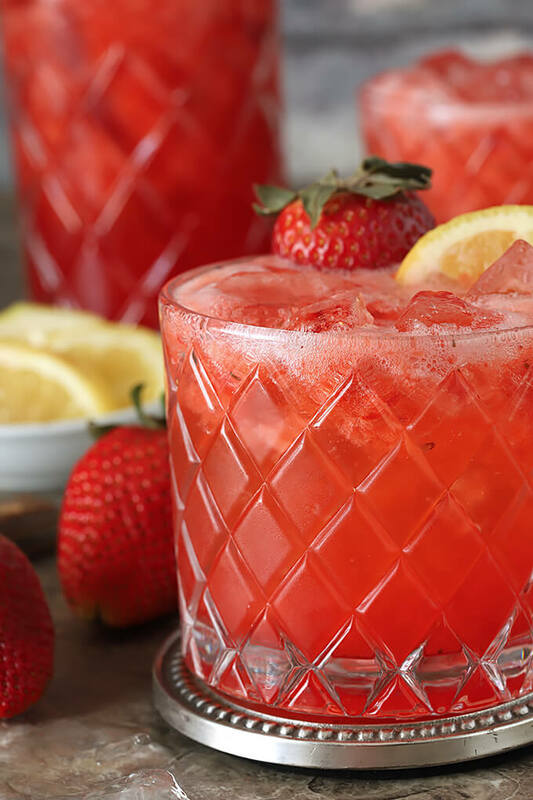 The post Strawberry Lemonade and Ginger Beer Fizz appeared first on Creative Culinary.